One can live in a city for more than dozens years and at the same time each day learn great facts from its history and culture. Vitebsk – for some people, it is a northern city in Belarus. But for others – a priceless treasure of works of art that reflect the history of the city of Vitebsk, appear at a glance. Architecture of Vitebsk requires special attention – subtle, sublime, solemn, with its own unique handwriting and style. So often when referring to the city magnificent churches come to mind, which biography goes deep in history. Although Vitebsk Roman Catholic churches deserve no less attention. They are much fewer comparing with a huge number of Orthodox temples which certainly top the list of the main attractions in Vitebsk. But even that makes you shake with delight. Yes, we are talking about the Roman Catholic Church of St.Barbara. 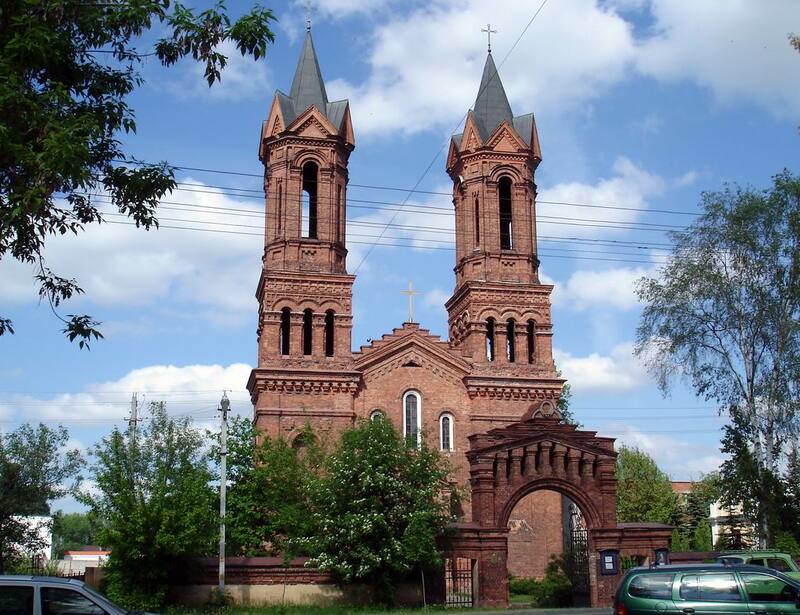 Combining the best traditions of the two trends in architecture – Neo-Gothic and Neo-Romanesque style, the Roman Catholic Church of St.Barbara is recognized as a unique creation of Belarusian architecture. Architecture of Vitebsk can be proud of this heritage. It may sound amazingly, but with all clarity of the architectural silhouette, laconic exterior finish, the Roman Catholic Church of St.Barbara resembles a stone tale, where the skillful hands of architects turned the brick walls into stone lace, aspiring to the sky. This is exactly the case when one can say: the wonderful is nearby. The Roman Catholic Church of St.Barbara smoothly fits into the urban housing despite of all its grandeur, solemnity and monumentality, creating a single harmonious picture of the modern Vitebsk. It seems that the time has faded, the history has suspended its way, civil fuss has disappeared somewhere and we cannot tear our look from the towers, rapidly extending upward to the sky, so that more residents and visitors can observe the Roman Catholic Church from afar. Therefore, many local residents for some reason say, what it is necessary to see the Roman Catholic Church of St.Barbara in Vitebsk first. As the pages of the history of Vitebsk testify, the temple was built in 1785 at a Catholic cemetery. It was a stone Roman Catholic church, consecrated in honor of the holy martyr Barbara, patroness of instant death, which was built with money of nobleman Anthony Kosov. Soon a small chapel and the Priest house appeared nearby. Initially the Roman Catholic Church of St.Barbara was built as a cemetery temple, but after a while it became a parish one. However, there was another name of the church among the believers - Podvitebsky, as the Roman Catholic Church of St.Barbara located outside of the city. The history of Vitebsk says that after almost a century the Roman Catholic Church parish was about 2,000 people, though the church could place much smaller - about 150 parishioners. Because of overcrowding in the church, it was soon decided to build a more spacious and roomy temple. The project development of a new church was entrusted to engineer-architect V.Piotrovsky. A gigantic construction was launched on the place where the Roman Catholic Church of St.Barbara located. And on December 4, 1885, on the eve of the great Catholic feast of the Christmas, priest Motush blessed the new brick church in honor of St.Barbara and Joseph. The congregation faced a majestic church, radically different from the initial construction. As a result of the reconstruction two double-deck towers lifted over the main facade of Vitebsk attraction united by a triangular fronton. But soon the church underwent the next trial: with the advent of the Soviet government the Roman Catholic Church of St.Barbara was closed. It happened in 1935. Such a sad fate awaited other temples in Vitebsk. 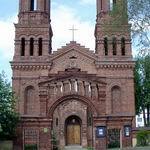 We can say that the culture of Vitebsk gradually fell into decay, it concerned first religious buildings. Many of them were robbed, destroyed or used for other purposes. For example, the Roman Catholic Church of St.Barbara was converted into a warehouse of fertilizers. 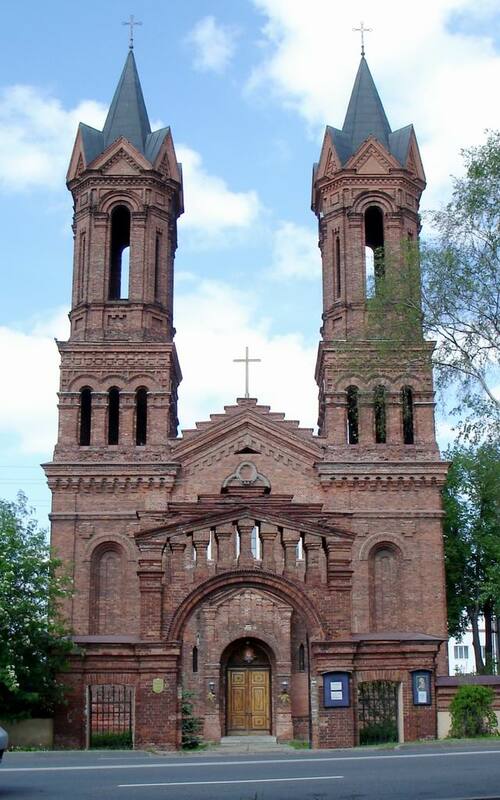 The Great Patriotic War did not spare the majestic Roman Catholic Church of Vitebsk also. As a result of fighting the church was partially destroyed, the towers are particularly greatly affected. The war ended, nobody was going to restore the Roman Catholic Church of St.Barbara. What survived after the war, gradually, brick by brick was destroyed by merciless time. Then the architecture of Vitebsk, one after another, lost its priceless artifacts: the case of the Catholic church was not single. Only nearly half a century later, it was decided to restore the Roman Catholic Church of St.Barbara. But not as a church, and as a concert hall. Only through the efforts of priest Janusz Skechek the plans remained on paper, and the Roman Catholic church has risen from the ashes and once again became active. Thus, in 1992 the diocese (parish) of St.Barbara was registered. A year later in the life of the Roman Catholic Church of St.Barbara was a significant event: Archbishop Kazimir Sventak re-consecrated the temple. Until recently, the Roman Catholic Church of St.Barbara has been cathedral, and from June 2011 this title passed to the Church of Jesus the Merciful. But this does not mean that the church has lost its value for the culture of Vitebsk. The fact that the building is unique among numerous architectural monuments in Vitebsk is confirmed by not only modestly splendid and rich visual design of the temple, but also the interior of the Roman Catholic Church of St.Barbara. Interior decoration, painting, great altar in the Roman-Gothic style will hardly leave anyone indifferent at the sight of the undeniable beauty. Sounds of the electronic organ, filled with good and light, seem to waft from the very heavens, calming and bringing and warm thoughts. That`s why people choose this temple among other churches in Vitebsk. 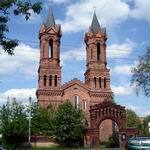 And on Sundays the church holds organ music concerts with assistance of Vitebsk Region Philharmonic. If desired, after a warm and cordial acquaintance with the Roman Catholic Church of St.Barbara you can look into other memorable places of the city. Nearby there are no less unique sights of Vitebsk – the Temple of St. Euphrosyne of Polotsk and the Railway Station Building. A leisurely stroll down Kirov Street will present many pleasant impressions. And House-Museum of Marc Chagall will open its doors in front of curious connoisseurs of art. To get acquainted with priceless cultural legacy of Vitebsk please visit the city portal VitebskCity.by. Address of the Roman Catholic Church of St.Barbara: 27 Leningradskaya str., Vitebsk.